A cup of coffee. iStock. But they plan to reopen down the street. 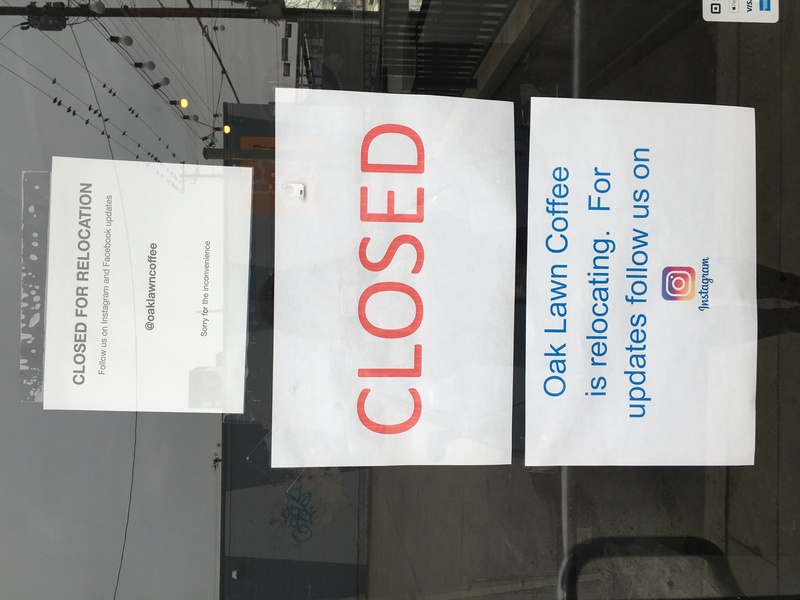 If you’ve tried to stop by Oak Lawn Coffee over the past couple of weeks, you’ve noticed three signs on the door notifying customers that the coffee shop is closed for relocation. Look. Here are the signs. Snapped by yours truly with my iPhone. The shop was owned by the owners of its neighbor, the Ruffit dog kennel, which recently sold Oak Lawn Coffee to a new buyer. Andrew Presley, the shop’s manager, says the building owners declined to renew the lease and the buyer couldn’t find a new location before the shop had to get out. Presley says they have plans to move “across the street and down a couple blocks,” but he wouldn’t say where or when. He says the new space is currently being renovated. The coffee shop has stood in that small shopping center at Oak Lawn and Congress since 2005, when it was named Urban Dog Coffee. It was rebranded to Oak Lawn Coffee in 2011.